Rocks are an integral part of spiritual life. They represent the solid, eternal part of our world as ancient bearers of knowledge and time and the very ground we walk on. Scientists use rocks to date and study earth’s history. Industry uses microscopic pieces of silicone-rock to run the technology of the modern world. Egyptians and Sumerians wrote in stone so we still have their wisdom. The Druids used stone circles as ceremonial sites and observatories. The Incas built magnificent stone cities that have withstood the ravishes of invasions and earthquakes. We worship in stone cathedrals and walk up stone mountains. The combination of rock and water give us magnificent waterfalls. We wear precious stones. We skip them for pleasure and throw them in anger. We use them to mark our path. Through out history people have been using rocks to show the way, to mark the next turn and to memorialize our world. Cairn is a Gaelic word for pile of stones. These man-made piles of rock have been traditionally used as waymarkers. In the desert, a stack of rocks are used to mark a trail. Cairns have also have been used as memorials such as on graves. When I was walking the Camino, one of the highlights for the journey was the Cruz de Ferro, a giant cross surrounded by an enormous cairn made out of rocks brought by pilgrims to memorialize the burdens they carry and then release. I, too, brought rocks from home for this deeply personal moment. But let’s get even more personal. 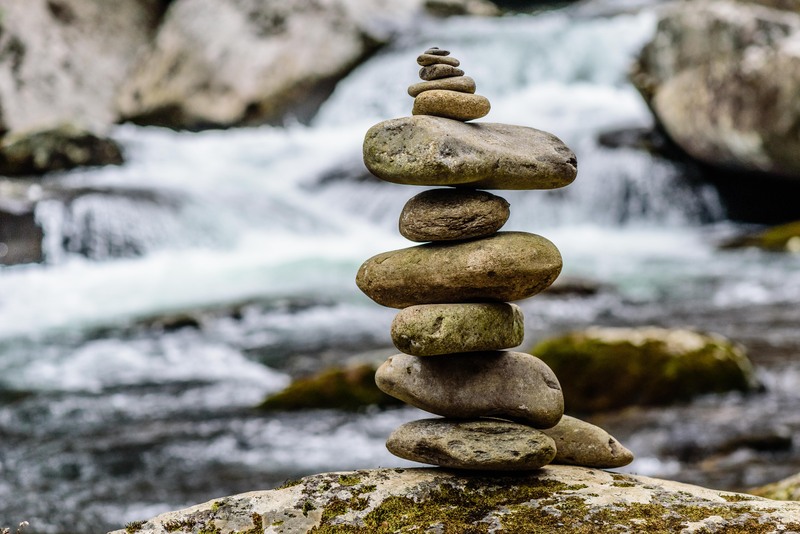 What can a cairn bring to your life? What can they mark or memorialize? We all need to take the time to see where we have been and where we want to go. During this traditionally reflective time of year take a moment to remember of the sad parts of your life so you can move on. A cairn can also be a beacon before you showing you the next step on your journey. This isn’t a big road map with everything set out but a small reminder that you are going in the right direction. A friend of mine went to the woods on December 31 as a deeply personal experience to lay to rest a very sad year. During the walk she took time to build three cairns. 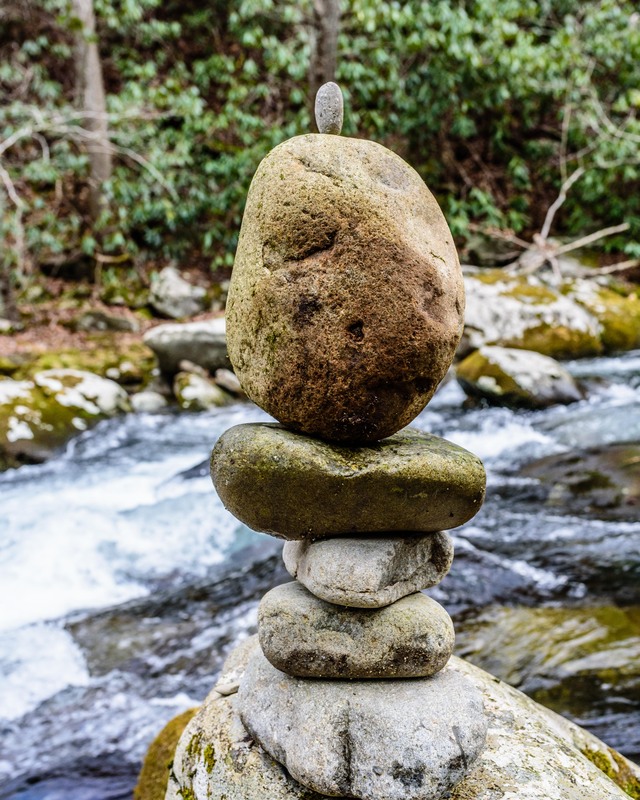 Lovingly and carefully balancing rocks became a meditation and a physical manifestation of renewed balance in her life in the year to come. 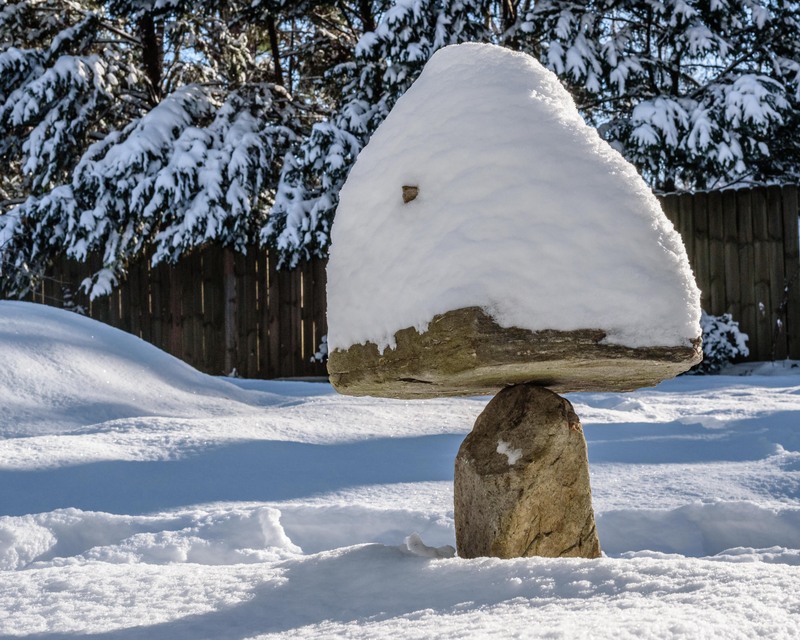 These personal cairns symbolize the precarious and ephemeral nature of life on earth because they are so easily knocked over but in this precarious balance is the strength and eternalness of stone. This entry was posted in Camino, nature by theperpetualpilgrim. Bookmark the permalink. Good one! See if they do Carnes in thailand.